New York City has Central Park and Washington, D.C. has the Mall, but Portland has the Park Blocks. Flanking these 12 blocks of green grass, statues, flower gardens and benches lies the cultural treasures of the city of Portland. This extremely walkable neighborhood is home to the largest collection of 20th century art in the Pacific Northwest in the Portland Art Museum, the vast collections of photographs, documents, book, and artifacts detailing our rich past at the Oregon Historical Society, six theaters, and more historically significant architecture than almost anywhere else in the city. Two parallel one-way streets between Salmon to Jackson streets, known jointly as Southwest Park Avenue, stretch along the length of Portland's downtown Cultural District. They’re lined with neat historical brick apartment buildings and historic churches (look for the 1895 First Congregational United Church of Christ, built in the Venetian Gothic style, and the 1890 St. James Lutheran Church, a Gothic Revival edifice). The Portland Art Museum and the Oregon Historical Society sit facing each another across one of the South Park Blocks where a huge bronze statue of Teddy Roosevelt in his Rough Rider years keeps watch over the rose gardens. One block east of Park lies Broadway, where you’ll see two of the three buildings that make up the Portland Center for the Performing Arts. The Arlene Schnitzer Concert Hall—a 2,776-seat rococo auditorium built in 1928—is home to the Oregon Symphony and brings some of the greatest speakers, musical artists, and comedians to perform. Across Main Street on Broadway, the New Theatre Building houses three performance arenas and a busy bar; Much more modern than the Schnitzer, the New Theater grows upward from a circular entrance hall to a rotunda crowned with flashing rectangles of mirrored glass. 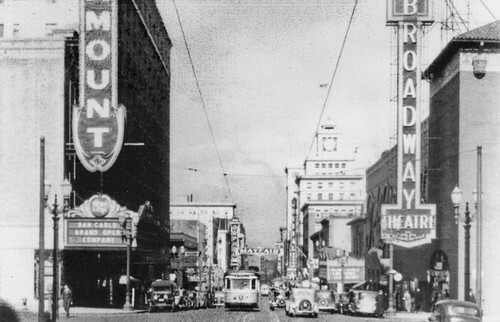 West of the South Park Blocks, Southwest 10th Avenue is studded with great dining, shopping, and some of the city's fine attractions along the route of the city’s free electric streetcar. Here you’ll find eclectic boutiques, cute cafés with outdoor tables, and Portland’s gorgeous 1913 Georgian Revival central library where you can spend hours lost in the stacks. The Cultural District is a great place to visit, but it's also a fantastic place to live. Embark on your urban lifestyle in one of the historic brownstones with french doors and antique tiled bathrooms, or soar above the skyline in one of the modern condos full of air and light with the best views of downtown and Mt. Hood. There are so many amazing opportunities waiting for you in the Cultural District, and the wealth of activities and opportunities for peaceful relaxation in nature will convince you to make this Portland jewel your next home. Early Portland residents in the late nineteenth century intended to establish a long promenade park that would stretch across the entire town site, from the Willamette River to the base of the West Hills. Though this urban escape was never fully realized, the South Park Blocks, and the six North Park Blocks, from Ankeny to Glisan Street, remain a testament to excellent city planners who valued nature and beauty above the appeal of a densely packed metropolis. Daniel Lownsdale, a tanner who wisely bought up much of Portland while the town was still being laid out, gave the South Park Blocks to the city in 1849, two years before it was incorporated. The area soon sprang up with churches and fraternal organizations, luxury hotels and theaters, and this rich legacy of fine architecture and planned green space gives the eclectic mix of brick, stone, grass and leaves that characterizes the Cultural District. The Cultural District in Downtown Portland stretches roughly north and south from SW Salmon to SW Market, and east to west from SW Broadway to SW 11th. Shaded by a colonnade of elm and oak trees and adorned with flower beds, benches, paths, and public art, the park lays a six-block path of calm through the middle of the Cultural District, then heads into Portland State University for another six blocks. 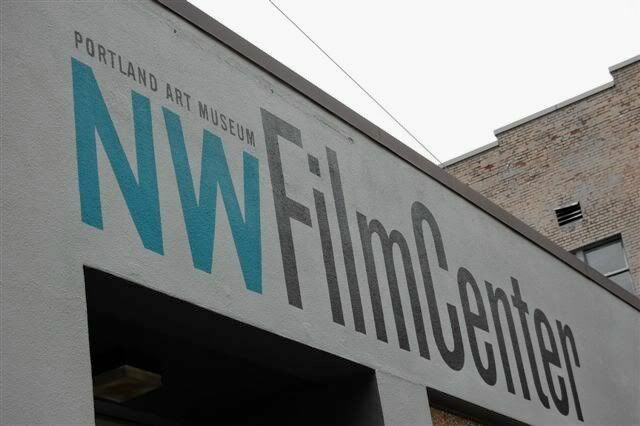 Northwest Film Center. 219 SW Park Ave., 221-1156, www.nwfilm.org: The center provides a variety of film and video exhibition, education and information programs.Events at the NWFC include the Portland International Film Festival, the Northwest Film and Video Festival, Reel Music, the Portland Jewish Film Festival, and the Young Peoples Film and Video Festival. Oregon Historical Society 1200 SW Park Ave., 222-1741, www.ohs.org. The Oregon Historical Society, established in 1873, features exhibits, photo archives, historical collections and an amazing research library. Be sure to look up when you’re at the main entrance of this great museum, off a courtyard facing the South Park Blocks. The eight-story-high mural was painted in 1989 by Richard Haas on the 1923 building, originally the Sovereign Hotel. The mural’s trompe l’oeil perspective depicts members of the Lewis and Clark expedition. Another mural, on the building’s south side, illustrates the early development of Oregon. Portland Art Museum 1219 SW Park Ave., 226-2811, www.pam.org. The Portland Art Museum, built in 1933, was designed by noted Portland architect Pietro Belluschi. The brick modern-style building was renovated in 1995. A new wing, opened in August 2000, houses its large Native American and Northwest art collection. Central Library 801 Southwest 10th Avenue. The 1913 Georgian Revival building, designed by A.E. Doyle, was renovated in 1995-97. Climb the grand staircase, at every step reading inspiring words etched within the William Morris-type design on black granite. Another favorite of library patrons is the bronze tree “growing” out of the children’s librarian’s desk, with artifacts of childhood attached to its bark. Portland Center for the Performing Arts 1111 SW Broadway, 248-4335, www.pcpa.com. The iconic PORTLAND sign is lit up at night with 6,000 brilliant bulbs, and marks the location of the Arlene Schnitzer Concert Hall, part of the Portland Center for the Performin Arts (PCPA). The Italian Rococo Revival building, constructed in 1927-28 as the Paramount Theater, now is the 2,776-seat home to the Oregon Symphony Orchestra, the Portland Youth Philharmonic, Portland Arts and Lectures and various concerts and presentations. Across Main Street is the New Theater Building, built in 1987. The stunning four-story rotunda lobby has a domed skylight festooned with colorful art glass. Higgins Restaurant 1239 SW Broadway, 222-9070, www.higgins.citysearch.com. Higgins believes strongly in supporting farming techniques that are sustainable, organic, and regenerative. This James Beard award winning restaurant is considered one of the best in town, and is a vertible establishment. Their menu changes weekly with the seasons, and is always worth a stop. Jake's Famous Crawfish 401 SW 12th Ave., 226-1419. Considered one of the top ten seafood restaurants in the nation, Jake's Famous Crawfish has been a downtown Portland landmark for more than 110 years. Southpark Seafood Grill and Wine Bar 901 SW Salmon St., 326-1300, Savory Mediterranean seafood and a wine list that ranges from easy on the wallet to rare and costly. ArtBar & Bistro 1111 SW Broadway, 432-2905, www.art-bar.com. Light fare and big beers served in the lobby of the New Theatre Building. Portland Farmer's Market From the first Saturday of May to the last Saturday of October, the Portland Farmers Market sets up shop from 8:30 a.m. to 2 p.m. in the shade of the towering trees near the intersection of Montgomery Street and Park on the PSU campus. From the first Wednesday of June to the last Wednesday of September, the market’s midweek location in at the Shemanski Fountain, between Salmon and Main on Park, from 10 a.m. to 2 p.m.
John Helmer Haberdasher 969 S.W. Broadway, 503-223-4976 or go to johnhelmer.com Whether you’re looking for a ribbon-embellished straw hat or matching Tilley Airflo hats for you and your 4-year-old, John Helmer is your go-to outfitter. Since 1982, the dapper John Helmer III has owned the newly remodeled haberdashery that his grandfather started in 1921. Artful Goods 1233 S.W. 10th Ave., 503-295-3022 or go to artfulgoods.com A contemporary art shop. They have a wide selection of colorful and modern merchandise from around the world along with artwork by local and nationally known artists such as Guy Burwell, Daniel Ng, and Tim Biskup -- all of which is displayed in a uniquely bright and spacious setting. Cacao 712 S.W. Salmon St., 503-274-9510 or go to cacaodrinkchocolate.com This cute chocolate shop fills a small space in the corner on the first level of the Heathman Hotel. Imported chocolate bars and pretty confections ($2.50 for a Caramel Fleur-de-sel topped with a toasted nut from DePaula Confections, which specializes in European-style filled chocolates) pack a big impression in such a teeny space. Kathleen's of Dublin 737 S.W. Salmon St., 503-224-4869 or go to kathleensofdublin.com Oregon's premiere importer of fine products from Ireland and the Celtic Isles. From Waterford Crystal to tweed Caps, Guinness to cashmere blend capes, Irish tea and the largest collection of Celtic wedding bands in the Pacific Northwest, Kathleen's is the place for all things Irish. Portland art museum gift shop (1219 S.W. Park Ave., 503-276-4321 or go to portlandartmuseum.org) This museum gift shop has a playful mix of quality goods. “A lot of museum shops want to splash their logo on tote bags, but who wants that?” asks manager Michelle Betcone. You'll find great jewelry and fine gifts, and all proceeds from sales directly support the Museum and its exhibitions and programs. Also, the Shop has one of the best selections of art books in the city.